Hurt at Work? Who Can You Blame? On average, 2.9 million American workers sustain non-fatal work-related injuries per year. A large portion of these injuries occurred in the construction industry. However, it’s possible for anyone to get hurt at work, no matter their position or employment field. Most individuals who do experience a work-related injury automatically assume that they will receive financial compensation of some kind. This is certainly true in some cases. In others, however, it might be a different story. If you’ve been hurt at work, there are many things to keep in mind as you explore legal repercussions. In this post, we’ll look closely at work-related injuries and who to blame. Both federal and state workers are likely eligible for worker’s compensation in certain scenarios. The Office of Workers’ Compensation Programs (OWCP), for example, is designed to give aid to federal employees who get an occupational disease or work-related injury. This aid includes assistance with medical treatment, wage replacement, and rehabilitation necessary for the injured person to return to work. State workers are also likely to be eligible for assistance if they get hurt at work. Lastly, a lot of viable private (non-federal and non-state) organizations in the U.S. offer some form of worker’s compensation insurance. These insurance plans will vary in coverage depending on the employer and organization. However, most insurance plans will provide injured employees with the financial assistance they need to seek medical treatment and rehabilitate. What’s more, worker’s compensation can give you a certain set of rights following a work-related injury. The first thing to do when you get hurt at work is to figure out if your employer does offer worker’s compensation insurance. In some states, employers have to visibly post evidence of worker’s compensation insurance. In others, employers can opt out of insurance plans. It may not be immediately evident if your employer offers worker’s comp. One place to start is with your Human Resources department itself. HR staff should have a working knowledge of worker health and compensation policies. If your company does not have an HR department, you can check to see if it is listed on your state’s Division of Worker’s Compensation website. Most state sites will enable you to search for your employer’s coverage verification. If these two steps aren’t viable for any reason, contact a lawyer at Dodge Jones. Regardless of whether or not your employer offer’s workers compensation, it’s essential to create a work-related accident report immediately. In fact, generate one as soon as you can following an injury. Even if you have yet to seek medical treatment, put together a detailed report. Some states have short windows in which you can legally submit a viable report. Your organization will likely have a policy in place for submitting injury claims. Contact your HR department to learn more about this policy. If your company does not have an HR department, contact a supervisor for advice. In fact, notifying your supervisor should be a top priority when you’ve sustained a work-related illness or injury. When filling out your accident report and notifying your supervisor, it may be tempting to immediately allocate blame. It may be obvious to you, for example, that poor safety measures caused your accident. Or perhaps you are aware that your own negligence led to your injury. In either case, be as detailed as possible when discussing your accident, on a claim and in person with supervisors. Do not allocate blame right away. Prioritize getting the details right, including the time of the accident, chain of events, and results. An attorney can also assist you in writing up an accurate accident report. Legal assistance truly is essential if you’ve gotten hurt at work. An informed workers rights or compensation attorney can help you navigate insurance coverage, accident reports, and possible lawsuits. An attorney will help you identify whether or not you are entitled to worker’s compensation for your organization. They will also help you analyze who is to blame for the situation, if applicable. It can be difficult to assign blame in the following situation: Jane, a restaurant server, regularly unloads food deliveries. Over time, the strain of this work causes a sustained back injury that prevents her from working in the future. Some would say that the organization should have provided Jane with appropriate training to ensure that she was lifting those food boxes properly. Others might say the fault is Jane’s for not taking precautions while performing work. 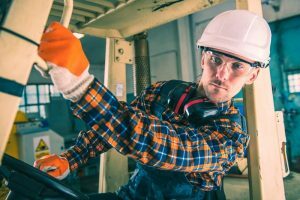 It’s important to note that worker’s compensation insurance will likely cover a work-related injury even if it is a result of your own negligence. However, there are some injuries that are exceptions. In general, organizations acquire worker’s compensation insurance to prevent their employees from suing them over damages. Insurance enables you to get the help you need for recovery while barring lawsuits. Consult an attorney so that you can feel confident in navigating your work injury. Many attorneys offer free initial consultations. You may also be able to find free legal aid via pro bono lawyers. If you’ve gotten hurt at work, it’s essential to seek medical attention as soon as possible. This won’t nullify the incident itself. Some worker’s compensation insurance only enables you to get medical treatment from certain doctors. Don’t let this dissuade you from receiving the medical attention you need, however. Medical attention can also give you the evidence you need to leverage an accident claim, particularly if it requires surgery or long-term rehabilitation. Work-related injuries can be challenging to navigate legally. Before you assign blame to anyone or anything in an occupational injury, identify if your organization has worker’s compensation insurance. Make sure to submit an accident report as soon as possible after being hurt at work. Consult an attorney so that you can ensure you are checking all of the right boxes. At Dodge Jones Injury Law Firm, we prioritize our clients’ health and safety. We are invested in giving you the advice, support, and guidance you need for addressing any work-related injury. 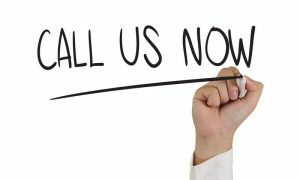 Schedule your free case evaluation today!